Drizzle – everyone hates it unless it’s flavoured with oranges or lemons. My Godmother used to make a wicked Lemon Drizzle Cake it was tangy, moist and just a slice of lushous-ness. Since she passed away I cannot bear to attempt to bake it, I know it won’t be a patch on hers, so I am resorting to a different flavour drizzle to cheer up the day. 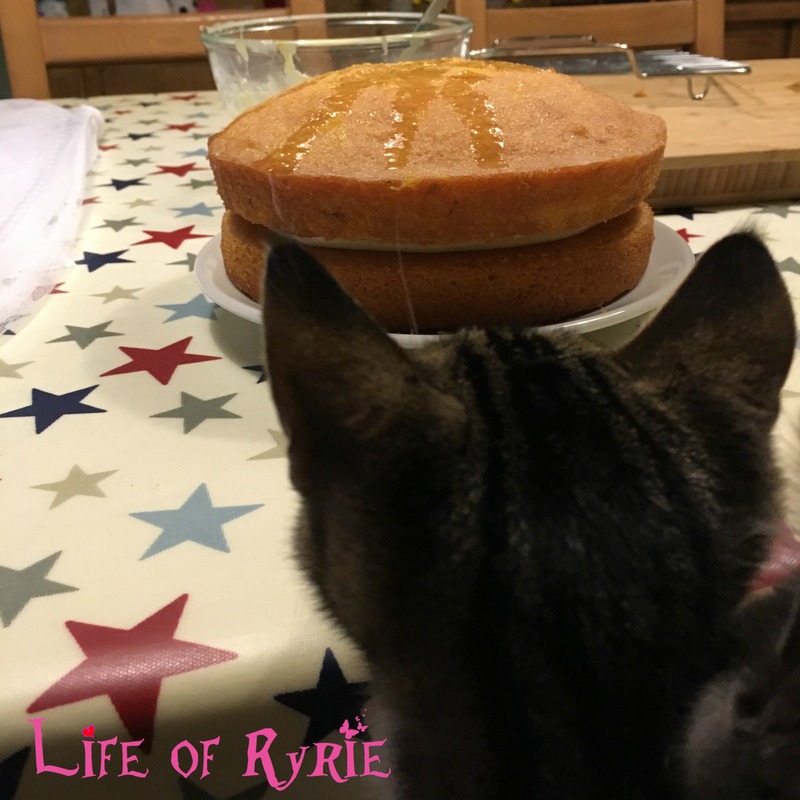 Here’s my Mary Berry Orange Drizzle Cake (from her ‘Everyday’ cookbook) and it appears even Tabby Cat likes the look of it!